We are a family wholesale jewellers, antique jewellers and diamond dealers. Hirschfelds have had strong roots in the jewellery and diamond trade in Hatton Garden London UK for almost 145 years with an exquisite collection of fine jewellery. 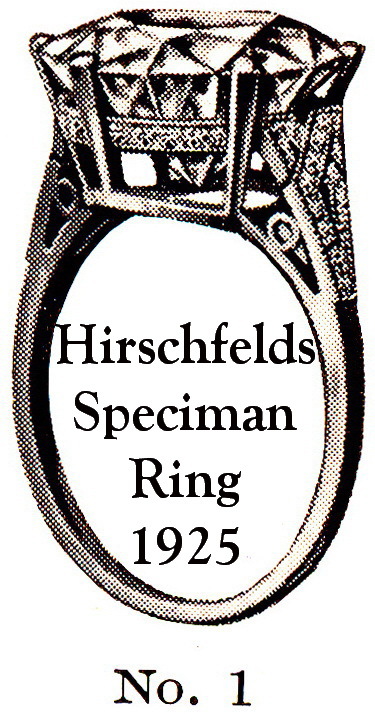 Hirschfelds Ltd London Jewellers Hatton Garden. Established in Clerkenwell 1875, Hirschfelds have constantly strived to maintain traditions of service and reliability that have distinguished us throughout that time. Antique jewellery London, Wholesale jewellery London, Fine jewellery, Antique jewellery dealers, Jewelry manufacturers & exquisite jewellery making. Jewelry repairs London. London jewellery repair and jewellery restoration ring sizing and ring resizing London since the nineteenth century. Our extensive London jewellery stock includes a wide range certificated diamonds and diamond rings. We specialise in loose diamonds in a range of sizes from ½ Carat to Ten carats, and offer a wide selection of diamonds in all categories. We also stock a wide variety of diamonds of different clarity and colour, ranging from the very best quality to more "commercial" and showy diamonds. Our London jewelry collection includes an eclectic collection of Antique jewellery, Vintage Jewellery, Vintage diamond rings, Antique diamond rings Second-hand Jewellery, Art Deco Jewellery and period Jewels. We have Victorian rings including Victorian diamond solitaires, Edwardian diamond rings, Antique engagement rings London. Please click here: Second hand jewellery and rings to view our Antique jewellery and Vintage Jewels..
Vintage jewels and antique jewellery are brimming with charm and steeped with character. They are jewels with a past, each with a story to tell. Inspired with history, yet original, one of a kind pieces full of charisma. Vintage jewellery has become the discerning choice for all our fashion conscious, stylist and celebrity customers. 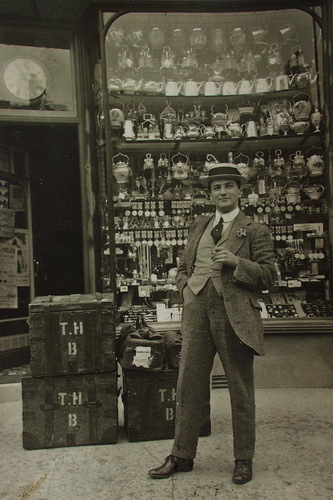 We are The Antique jeweller London Hatton Garden antique jewellery. There is old jewellery, there is estate jewellery & secondhand jewellery. This is heritage jewellery that makes a better investment than ordinary Vintage jewellery..
Big bold 1950's jewellery and 1960's jewellery pieces are back in vogue right now. 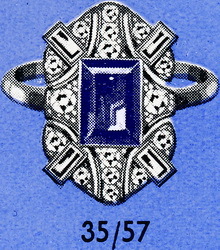 Ring mountings produced by the company in the 1920s. has it own story to tell.